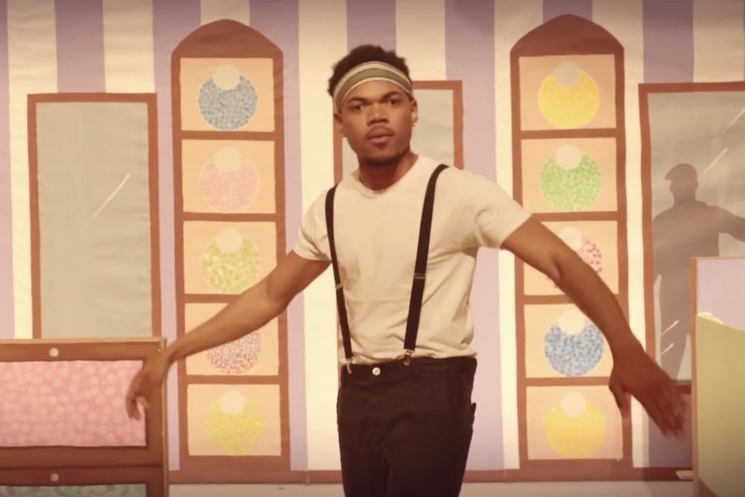 It's been several months since Donnie Trumpet & the Social Experiment shared the song "Sunday Candy," but Chance the Rapper's collaborators still haven't released their album Surf. In the meantime, "Sunday Candy" has now gotten a music video. The video was written by Chance the Rapper, who is featured heavily in both the song and the visuals. The whole thing plays out in a single shot on an elaborate set, as the inside of a candy store is transformed into a street scene. As the hip-hop-favoured soul song reaches a joyful climax, Chance leads a big choreographed dance routine. It was directed by Austin Vesely, Ian Eastwood and Chance the Rapper. Watch it below.